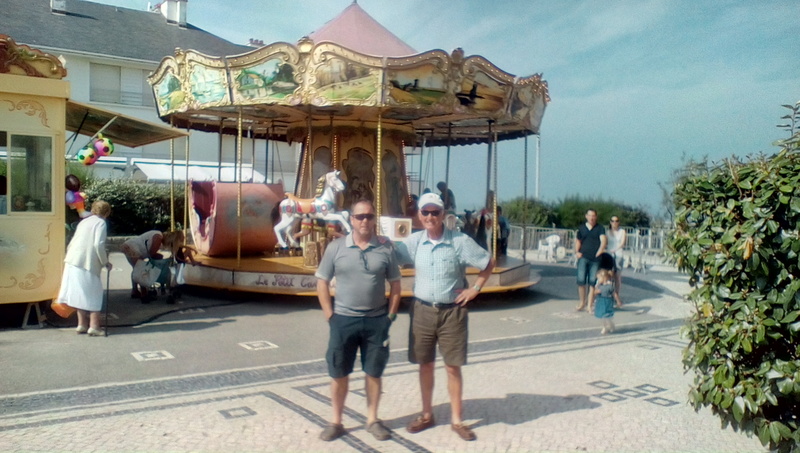 Which way to turn at the roundabout? 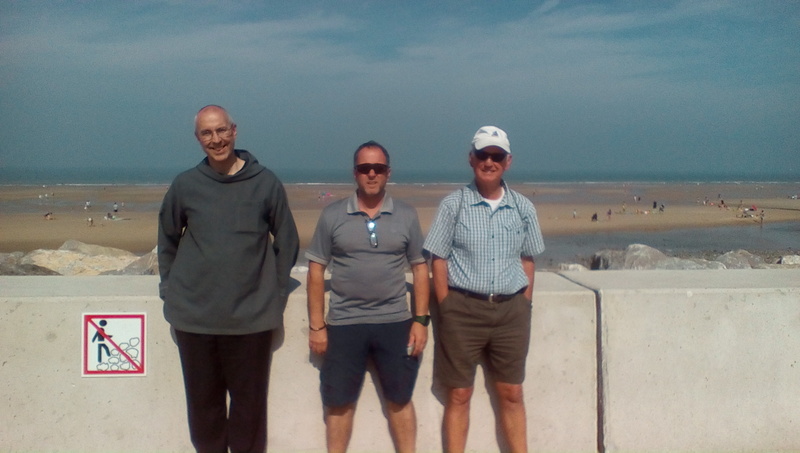 After some very bendy roads, an unwelcoming restaurant and a walk in the woods with the monks in the afternoon, following the migrants’ route we reach Wissant 20 miles from Calais. Another rather hot day. Noisy mosquitoes at night, but no malaria! Tomorrow off towards Amiens.